Get your 1" x 1" Bitcoin Cash Cryptocurrency Pin and show your support for Satoshi Nakamoto's vision with a Bitcoin Cash Cryptocurrency Pin. Bitcoin was never meant to be a digital investment. Rather it was meant as a transactional currency that one could utilize in the conducting of business such as the exchange of goods. Let others know you support the use of crypto in your financial transactions and not just as some sketchy "investment" instrument! 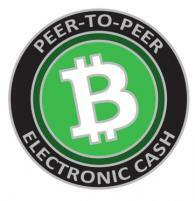 Bitcoin Cash is one of only a handful of real world crypto currencies being adopted by merchants today. Supporters of Bitcoin Cash include companies developing merchant tools such as AnyPay, BitPay, and CoinPayments. This means you can expect to see widespread adoption and will soon be able to easily spend Bitcoin Cash.